I’m by no means a relaxation guru. In fact, you’re far more likely to find me combatting pent-up stress by running a 5K, taking my bike for a spin or gloving-up to go a few rounds on the nearest heavy bag. But I take my role as a Tween Waters INNsider very seriously. So when the idea struck me to find a great way to dial things back after a particularly harrowing vacation adventure, I did what any red-blooded American male would do: I gave myself a spa day. 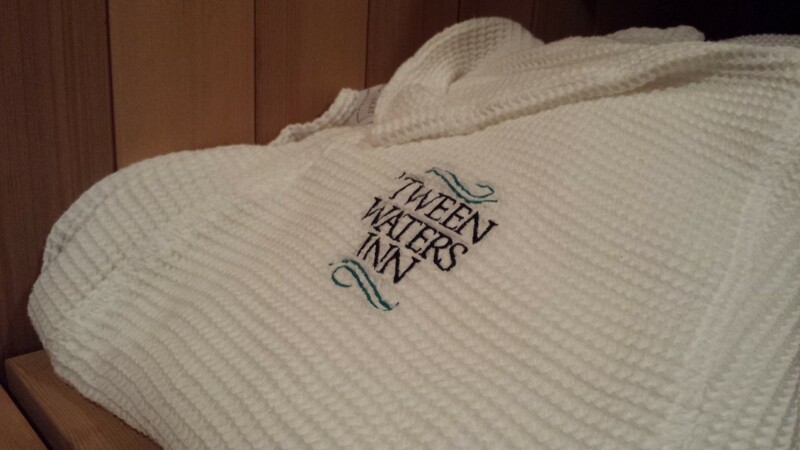 As luck would have it, The Spa at Tween Waters Inn is the very epicenter of all things harmonious on Captiva Island – with a staff of licensed professionals and massage therapists whose occupational mandate is to accompany guests on a tranquil journey from fatigue to bliss. No, really… it says it right there on the business cards. I have to concede that it only took about 30 minutes for me to be reduced from professional communicator to babbling idiot, or roughly the duration of step one – the manicure – of the three-step relaxation gauntlet laid for my wife, our friend Hali and I on a Friday morning visit earlier this month. The query got louder and more persistent after step No. 2 – an 80-minute joyride aptly tagged the “Ultimate Pedicure” – which includes a procedure during which scoops of warm paraffin are ladled into plastic bags into which the feet are then inserted, creating a mold that traps moisture and treats skin. The mold slides off in a single waxy piece to start the rinsing process, which is followed by yet another round of lotion/massage amid a sea of throw pillows, free coffee and a lovely view of coconut trees. But 50 minutes of kneading fingers and rolling forearms later, I was feeling ready for the Olympics. And if it means another spa trip comes with it, I’ll even play the next one without a helmet.